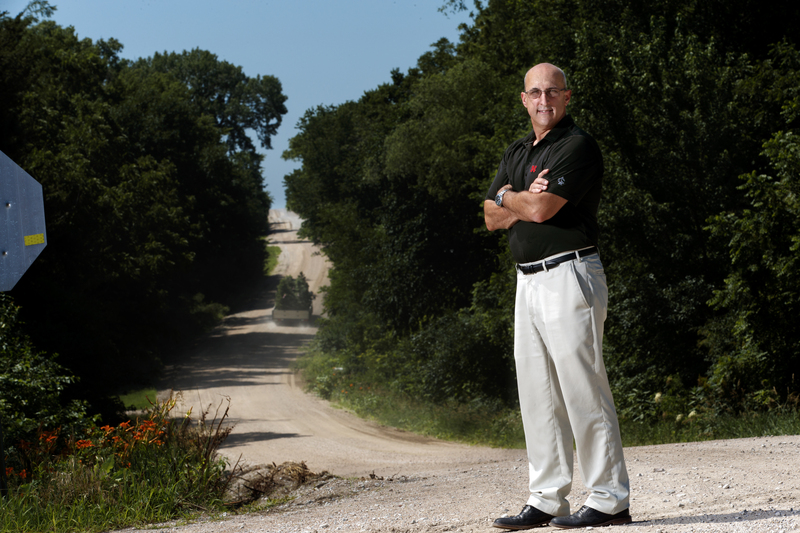 As the opioid crisis continues to plow through the Midwest, devastating rural communities, Nebraska sociologist Kirk Dombrowski has emerged as a leading researcher in rural drug use. Because previous drug epidemics – ‘70s speedballs, ‘80s cocaine and ‘90s crack – were urban phenomena, research and treatment have concentrated on urban drug addicts. Dombrowski’s focus on understanding the unique characteristics of rural drug use is helping inform prevention and treatment strategies in hard-hit rural areas. Rural drug users have less access to drugs than urbanites so they tend to take whatever drug is at hand, be it opioid, alcohol or methamphetamine. This polysubstance use complicates prevention and treatment, said Dombrowski, John Bruhn Professor of Sociology and director of the Minority Health Disparities Initiative. His team uses social network analysis to study how rural drug users’ social lives influence the spread of drugs and associated diseases, such as hepatitis C and HIV, through needle sharing. Computers help analyze survey and other data to understand how drug users form social relationships and how their networks evolve over time, particularly in relation to risky behavior. Stigma makes surveying drug users challenging, requiring novel methods. For example, to more accurately estimate population numbers, the team is surveying random Nebraska residents about their anonymous friends’ and associates’ drug use rather than their own. Statistical methods scale up the network data to provide state-level estimates. They’re also developing cellphone software that uses GPS and artificial intelligence to tailor study participants’ questions based on responses and proximity to other users or known drug locations, providing much more data. The team’s counterintuitive findings suggest that rural people have much larger social networks than urbanites, granting them greater access to drugs. They also have fewer risk reduction options, such as clean syringes, overdose reversing drugs and treatment centers. By identifying risky behaviors, affiliation characteristics and other social attributes, their research provides insight into how addiction and disease spread. Their work suggests the need to increase prevention services in rural areas to reduce overdoses and disease transmission, particularly in the Midwest. “The Midwest’s crisis is probably not that different than rural opioid use in a lot of places, but it’s hitting a medical and policy scenario that’s unprepared,” Dombrowski said.